GreenFire Energy Inc. today announced that it has been selected for a grant award from the California Energy Commission to build the world’s first demonstration of closed-loop geothermal power generation using supercritical carbon dioxide (sCO2) instead of water. GreenFire Energy Inc.’s geothermal power generation process could enable thousands of megawatts of new carbon-free power plants in California and other markets. 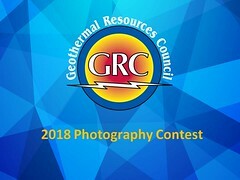 The proposed $1.48 million grant from the Energy Commission’s Geothermal Grant and Loan Program will be considered for approval by the Energy Commission at the June 14, 2017, Business Meeting. GreenFire Energy Inc.’s innovative ECO2G™ technology harnesses recent advances in deep and directional drilling technologies from the oil and gas industry to access high-temperature geothermal resources that cannot be exploited with existing geothermal technology. The demonstration project involves inserting a co-axial closed-loop tube into an existing geothermal well that lacks sufficient permeability to generate power. Supercritical carbon dioxide will then be circulated to transfer heat to the surface and generate power from a small turbo expander.